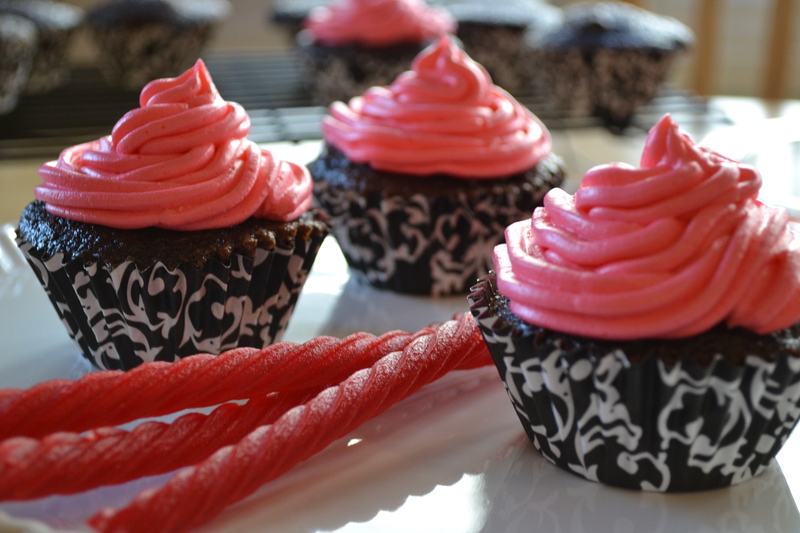 So it was a no-brainer to use Red Vines when my I decided to alter a recipe that my sister sent me for Chocolate Cherry Cola Cupcakes with Red Licorice Filling from a 2010 episode of Cupcake Wars on the Food Network. Please please please do not use Twizzlers in place of Red Vines! Just check out the “WHERE TO FIND RED VINES” tab on Red Vines official website and pick up a bag (or two). 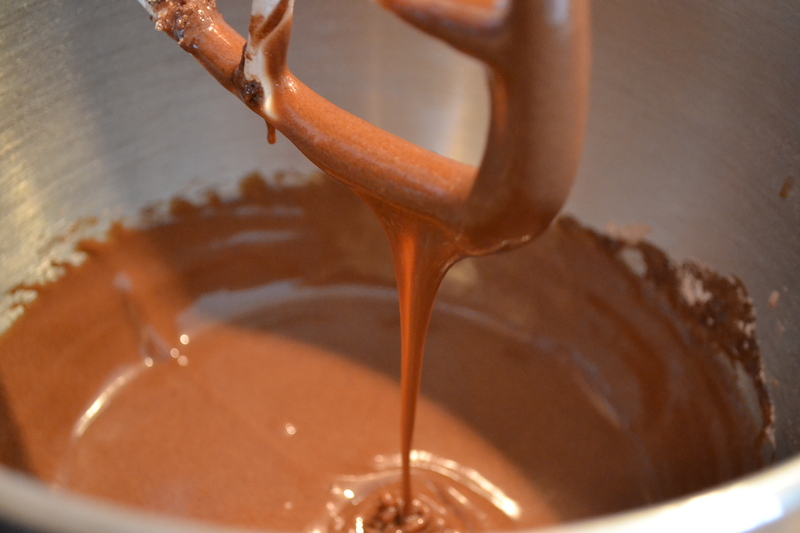 I combined the sugar, flour, cocoa, baking powder, baking soda and salt in an electric mixer. 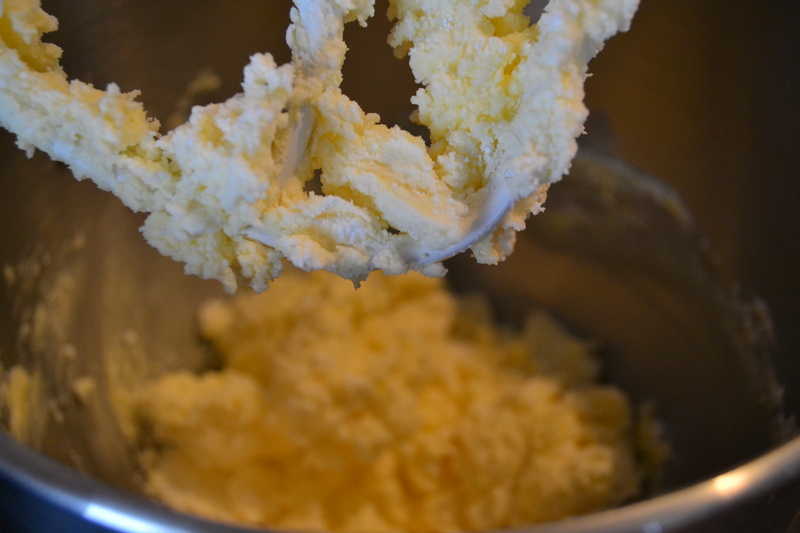 I then added the egg, soy milk, oil and vanilla and beat on medium speed for two minutes. I stirred in the warm Cherry Coke Zero until fully combined. Note: The batter might seem a little thin compared to what you’ve probably seen before on Cupcake Wars but trust me, it is perfect! 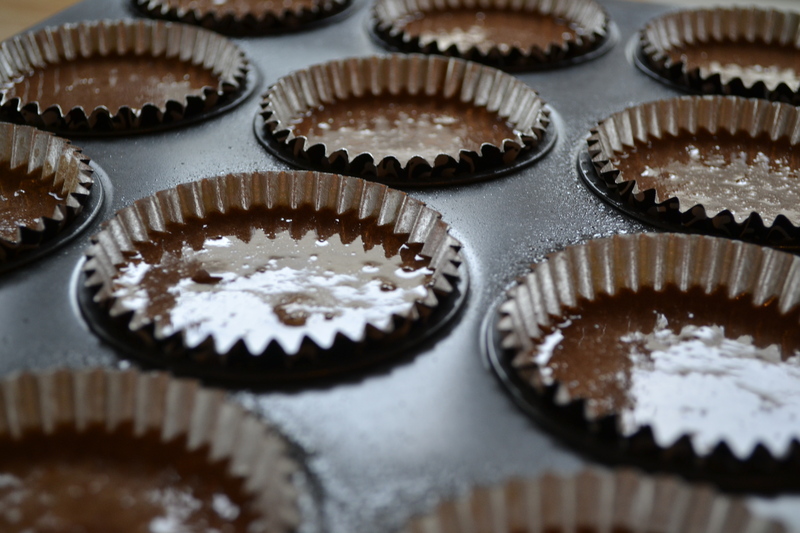 I filled 12 cupcake liners 3/4 full with the light batter and baked until the cupcakes were springy to touch, around 15-18 minutes. I let them cool in a pan for a few minutes before moving to a wire rack to cool completely. 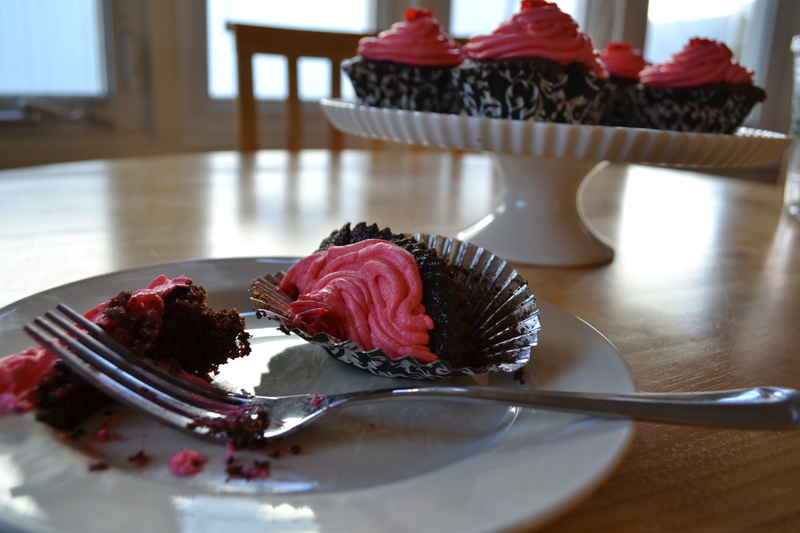 While the cupcakes were cooling, I made the licorice filling. 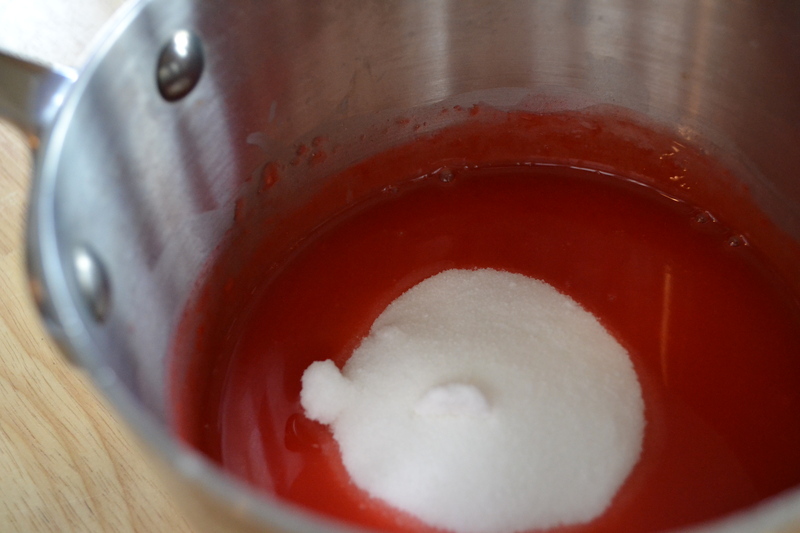 I tore the Red Vines into 1 inch pieces, placed them in a small saucepan with the water and brought the mixture to a boil over medium heat. I removed the pan from the heat and let cool. 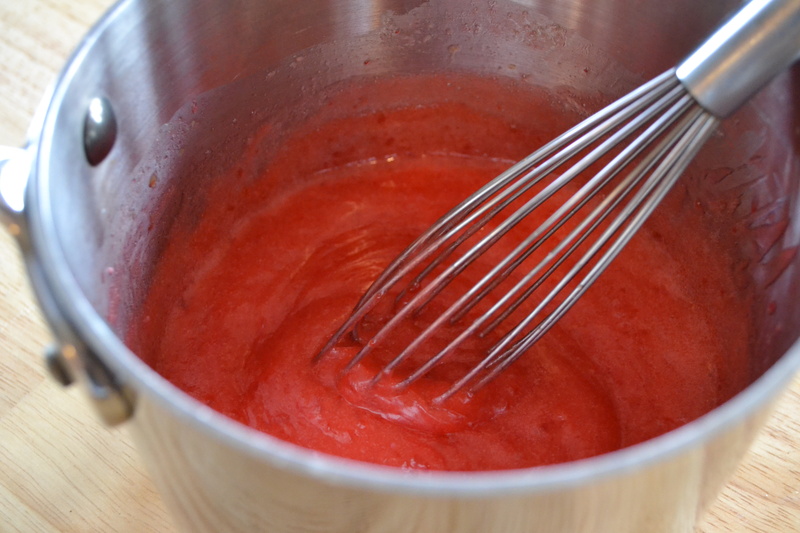 Once cooled, I whisked in the sugar, cornstarch, salt and egg yolks. 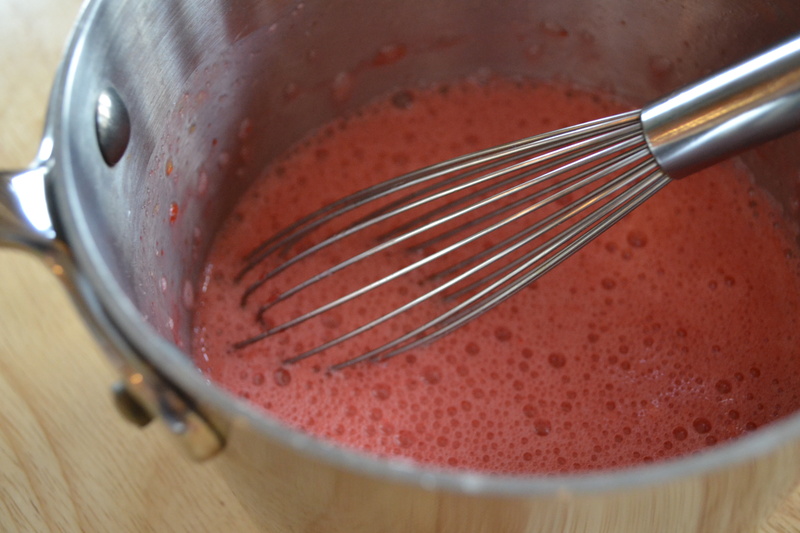 I cooked the mixture over medium heat, whisking constantly, until thick and bubbly. I continued cooking the filling for one more minute then removed from the heat and cooled to room temperature. You will go bananas for this filling!!! You can just eat it with a spoon. I suggest refrigerating the cupcakes once frosted so the buttercream doesn’t collapse. 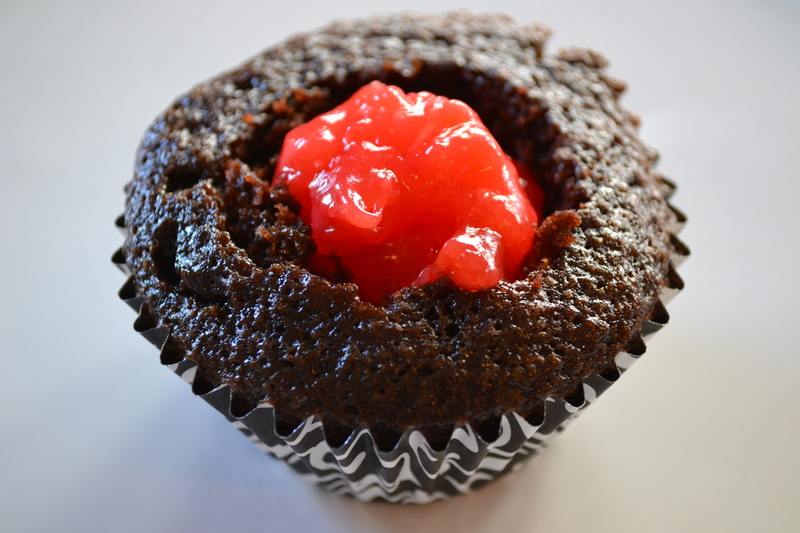 Plus, I love the way a cold cupcake tastes. 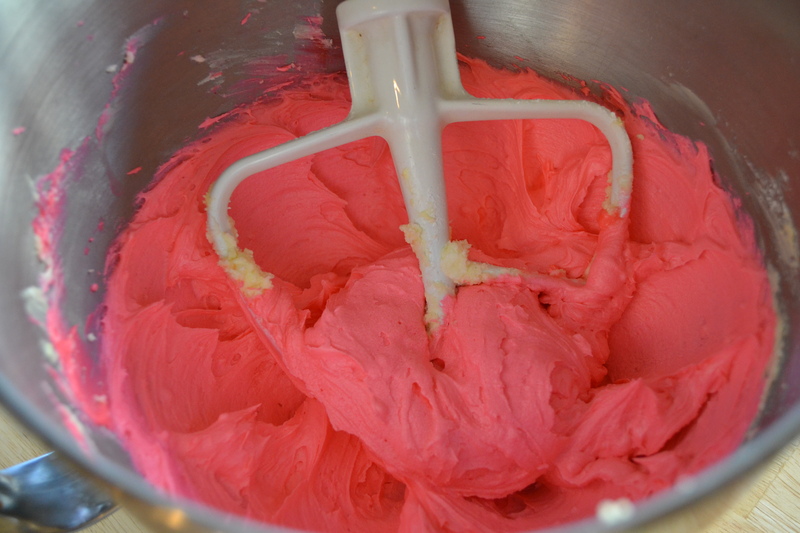 If you’re wondering what to do with the extra cake that you scooped out for the filling, make cake pops! I was able to make 6 cake pops with my extra cake and licorice frosting. Each photo makes these look better than the one before. Amazing! Mel, these look incredible and your food photography is really good!! Yummmmm. 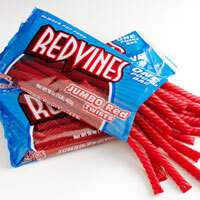 I wish we could get Red Vines in Israel. 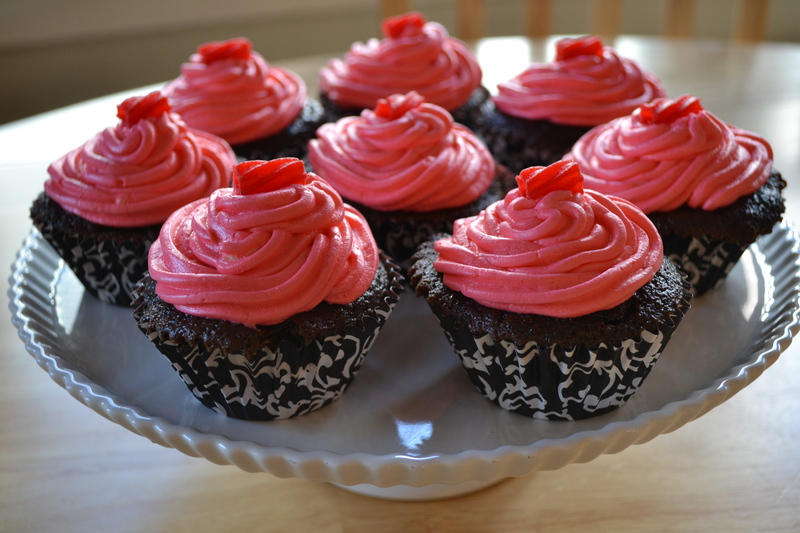 I love the idea of red vine cupcakes! Brilliant! Greast choice! Cupcakes are insanely popular these days!